Drink your solids, chew your liquids is a common principle encouraged by many holistic and integrative practitioners. But what does that mean and how is that possible? Through chewing! Slowing down and taking time to thoroughly chew your food benefits your health in so many ways…including building strong, healthy bones! The simple act of chewing aids in healthy digestion, nutrient absorption, stress reduction, mood enhancement and even brain stimulation. Good health begins with digestion and digestion begins in the mouth. With just the mere thought of food, enzyme-rich saliva is produced by the glands in your mouth which begins the process of digestion. As you chew, the saliva moistens and mixes with the food, allowing the enzymes to break down the food into particles that can be easily swallowed and digested. Chewing also prepares the stomach to receive food by stimulating the release of gastric enzymes. 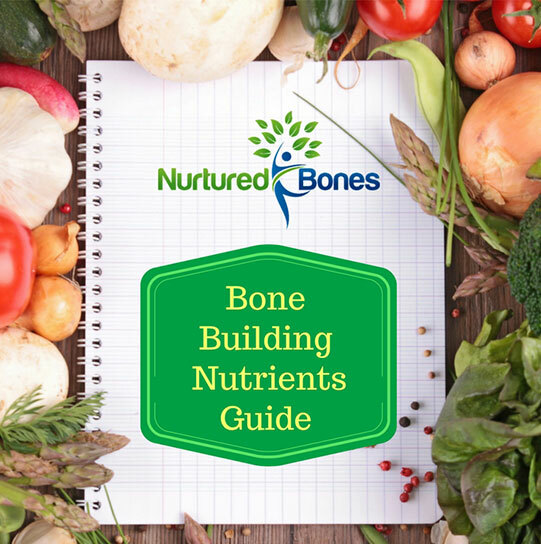 You can be eating all the best bone building foods, but if you are not using your teeth and muscles of mastication to break down that food, the nutrients can’t be digested, absorbed and assimilated into your bones. The act of chewing also relieves stress. Recent research has shown that chewing interferes with the release of stress hormones and helps to switch the body from a sympathetic state (state of stress) to a parasympathetic state, a state of relaxation. Only in a state of relaxation can our bodies fully rest and digest. It is becoming more and more evident that chronic psychological stress, along with depression and anxiety, can trigger bone loss by inhibiting bone formation and stimulating bone resorption. A study done in mice revealed that the simple act of chewing alleviated stress induced bone loss. Adequate chewing should be part of an integrative approach to preventing and treating osteoporosis. Many of us are often in a hurry when eating, giving no regard to chewing our food. Beyond digestion and stress reduction, chewing can also stimulate the brain and elevates alertness, leading to improved cognitive performance. So if you are in the habit of shoveling your lunch in your mouth and swallowing whole while preparing for your afternoon presentation, your performance might be enhanced by taking 30 minutes to relax, enjoy and CHEW your meal. Did you know that the average person only chews their food 6 times before swallowing? Yet, most animals are intense about chewing! Have you ever watched a horse eat? They chew until the cows come home! 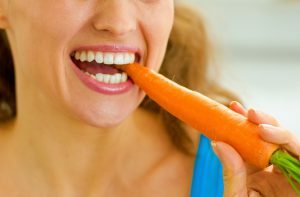 Over 60% of our teeth are molars that are designed for chewing and grinding our food, let’s put them to good work and chew our food. Strong bones start with the simple act of chewing, so let’s look at some tips to help your chew your food with more gusto!